Nestled in the heart of Switzerland is a city known for its glittering lake and incredible mountainous backdrop. To its over 80,000 inhabitants, it is home; to others, it is one of Europe’s most beautiful cities. 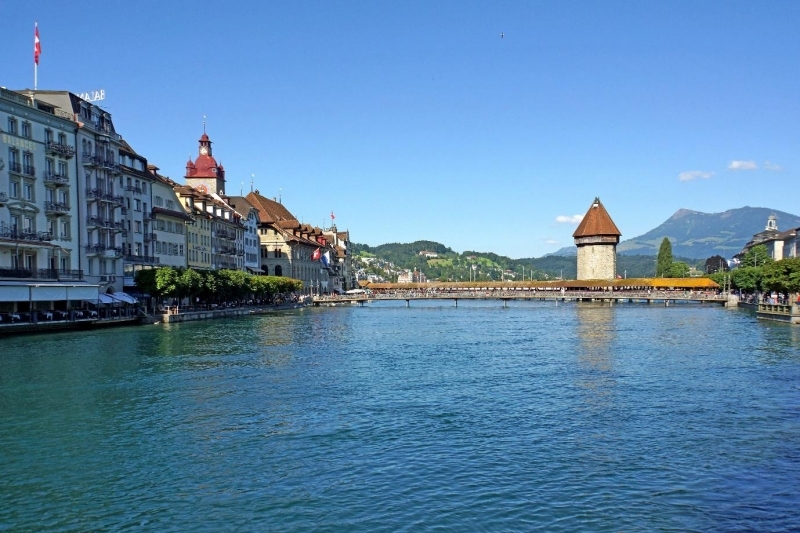 Lucerne (or Luzern, as it is called in its native German language) was founded in 8th century. 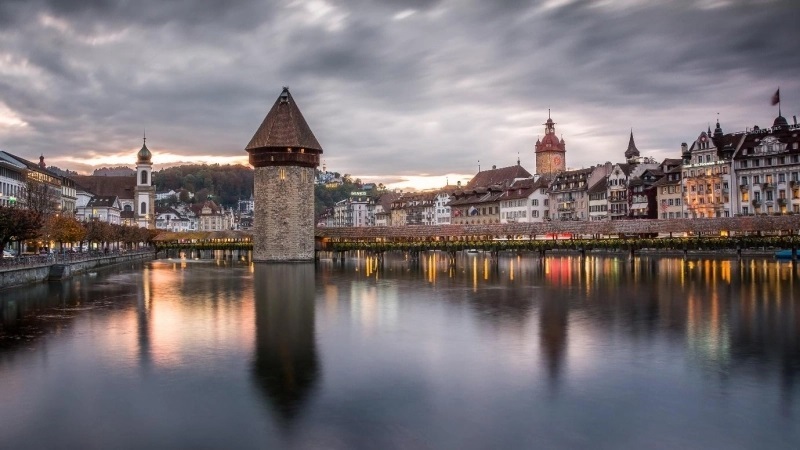 With a history of revolutions, religious battles, and innovation, Lucerne’s cultural heritage is unparalleled by any other. A visit to Lucerne can last you weeks if you travel at your leisure, but if you are pressed for time, here are some of the essential activities you can’t miss! 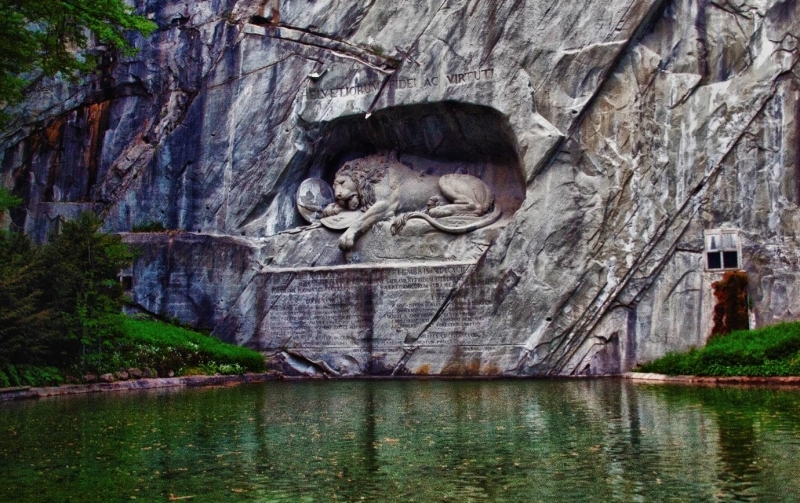 Carved into a wall of sandstone, the Lion Monument was designed in 1819 by Danish sculptor Bertel Thorvaldsen in memory of the Swiss mercenary soldiers who lost their lives during the French revolution. The nook where it rests is sheltered and framed by woodland and a still pond, lending to it a peaceful aura despite the tourists who flock to visit it every year. Its beauty and backstory make it an iconic photo location. Entrance to the Lion Monument is free, so be sure not to miss out on one of the most moving rock sculptures in the world. The Glacier Garden, known in German as Gletschergarten, is an institution consisting of a museum, a mirror maze, and a geological site. 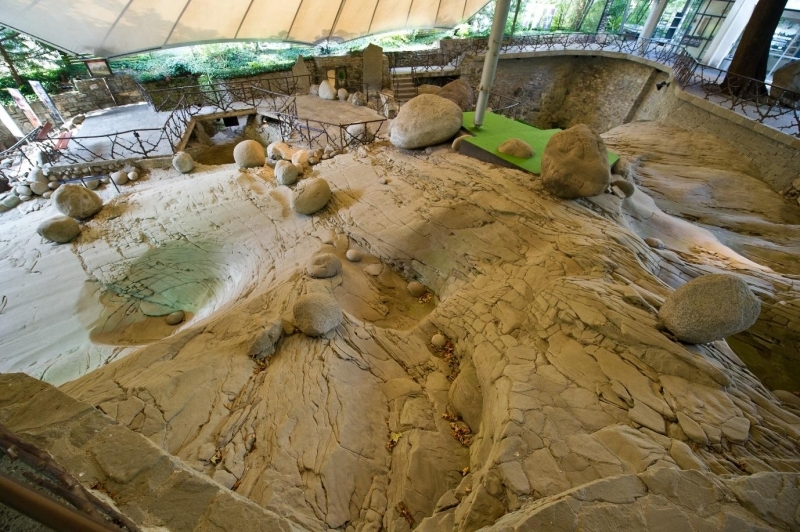 The geological site is constructed from bedrock formed by the glaciers once covering the area. The institution advertises fun activities for all—the mirror maze is hugely popular with children, and the geological site has plenty of channels and funnels for the explorers at heart—but take care to note that a lot of stair-climbing may be involved. 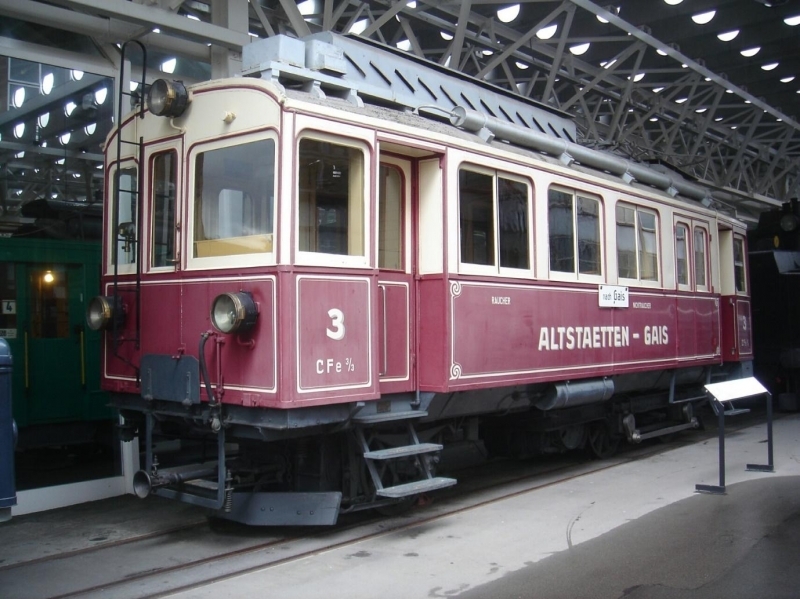 The Verkehrshaus der Schweiz has not only an extensive collection of ships, aircraft, and locomotives, but also a film theatre with an almost 500m2 movie screen and a Chocolate Adventure ride featuring the history of Swiss chocolate. There’s also a Lindt’s chocolate tasting session right at the end of the ride. Mmmm, all that chocolaty goodness! Lake Lucerne Cruises (SGV) has a variety of cruise packages, some of which are special cruises, such as cruise trips set to take place on Swiss National Day; some of which are themed cruises, such as the murder-mystery Crime Dinner; and some of which are daily cruises complete with refreshments. Hungry? Lake Lucerne Cruises hosts breakfast cruises, lunch cruises, dessert cruises, and even candlelight cruises. Who can resist going on a trip out to pristine waters with verdant greenery and age-old mountains? Lucerne is rich with historic buildings, each of which has a unique story. 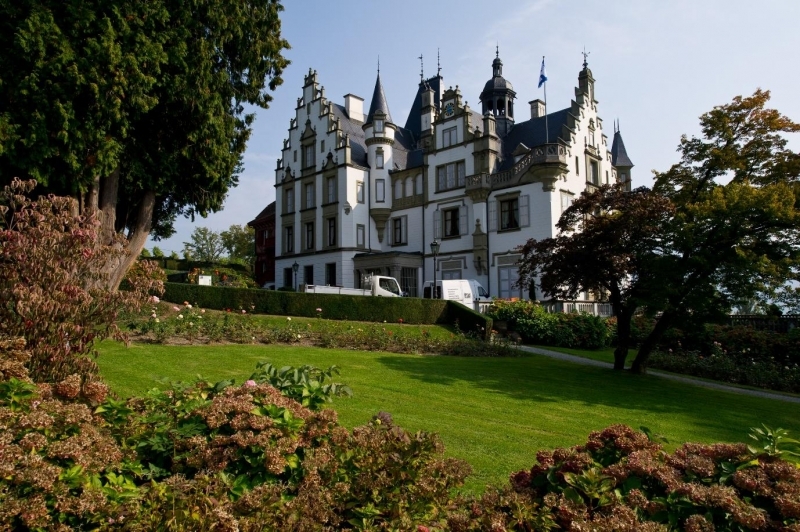 Guided tours of the castles and chateaux along Lake Lucerne are available, but if you prefer, there is always the option of exploring the architectural relics on your own—we recommend Château Gütsch and the Meggenhorn Castle. Just be careful not to wander onto any private properties! The Reuss River’s needle dam has existed since 1859. It has undergone multiple renovations since then, but remains an astoundingly effective water-control, flood-prevention, and energy-production method even today. Despite its size, it can be easy to miss, so be sure to keep an eye out if you are in the vicinity of the Chapel and Spreuer Bridges. The museum houses around 3,000 historical artefacts, such as coins, pottery, and ancient weaponry. In addition, actors from the museum conduct theatrical tours as often as four times a day by taking visitors on a gripping journey through Lucerne’s cultural history. 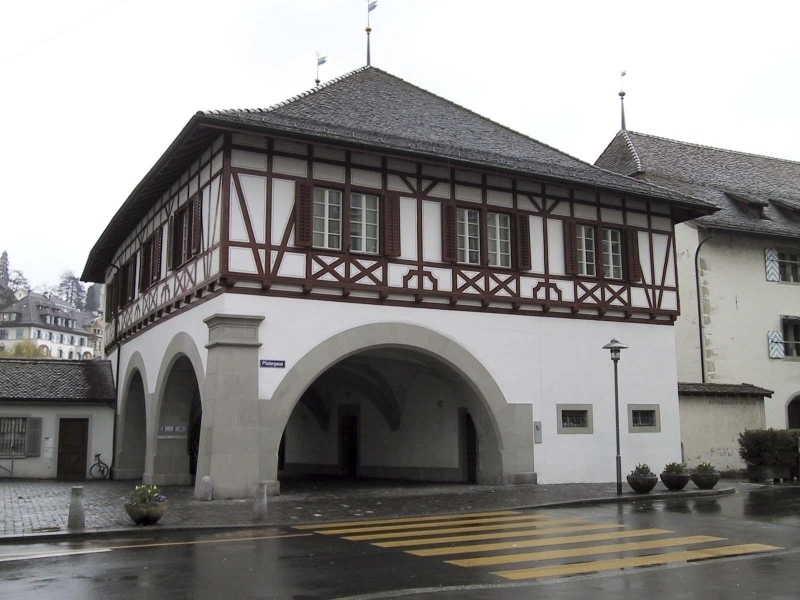 The Nightwatchman Walk is a guided tour of Lucerne’s medieval city centre. As you explore the city centre with Night Watchman Ralf, you learn about life, law, and order in the Middle Ages. English-speaking public tours are available every Tuesday from April to October (private tours may be booked). Picture this: The fire horn sounds. The watchman calls. Night Watchman Ralf introduces himself and tells you of his hard life. He sets the scene—you follow him into a night of crime and intrigue; and of torture and punishment. Before you go, he will have told you all about the Dance of Death. If you go on the Nightwatchman Walk and the guided tour provided by the Museum of History, you will learn all about the history of the Chapel and Spreuer Bridges. However, if you elect to skip those tours, these bridges are still worth visiting on your own. Remember: Crossing the river on Europe’s oldest covered bridges is not an everyday opportunity! Lucerne’s Old Town is filled with narrow alleyways, cobblestone streets, and picturesque buildings. Restaurants line the riverfront, but deeper into the Altstadt are the fountains, marketplaces, and colourful shops that form the heart of it. If you have a single romantic bone in your body, the Altstadt is where you will want to go on a trip to Lucerne. 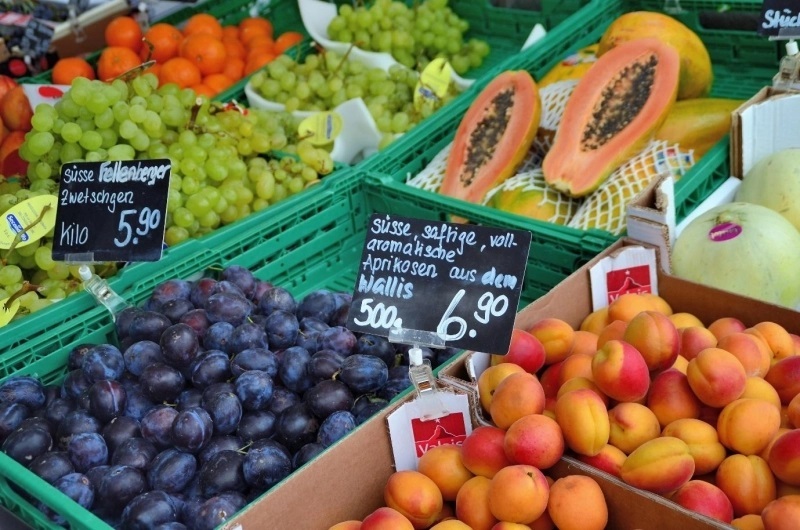 Lucerne hosts a variety of markets: The Wochenmarkt which sells cheese; the Monatsmarkt which sells textiles, accessories, and decorative items; the Flohmarkt with its curios and bits and bobs; and the Handwerksmarkt which, as you can undoubtedly tell from its name, sells handicraft. The markets are not open year-round, so be sure to double-check before hitting the streets. 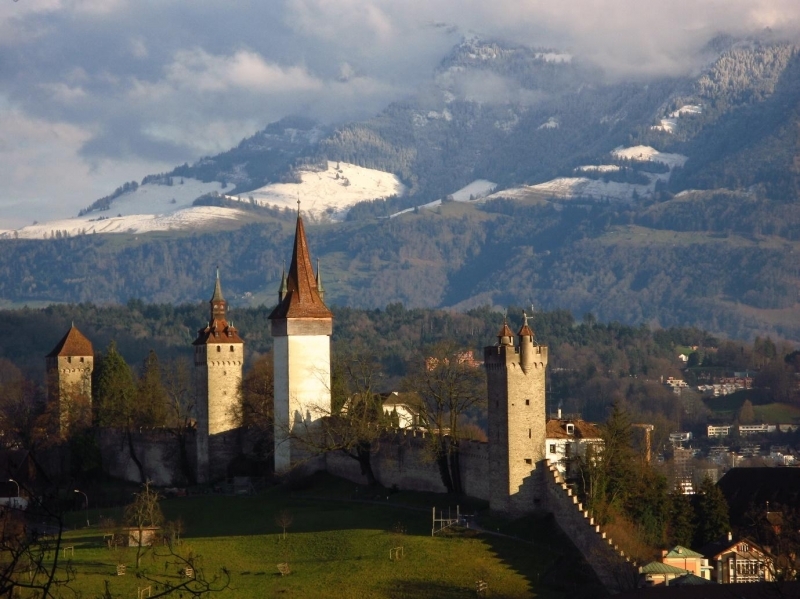 Lucerne’s ancient defensive wall and towers still stand today. Four of the nine remaining towers are open to the public during the warmest months of the year—the Musegg Wall itself, together with the Männli, Zyt, Wacht, and Schirmir Towers, offer a mesmerising view of the city and its surrounding mountains. It’s the perfect way to sum up your time in this lovely city! Though the listicle must end sometime, it could go on yet to include numerous other events and attractions such as the yearly summer music festival, the futuristic Culture and Convention Centre (KKL), and the extensive Rosengart Collection Museum featuring the works of Pablo Picasso. Lively, ever-growing, and rich in culture, Lucerne is a bucket-list destination for sure . So, do not hesitate to plan your itinerary now. 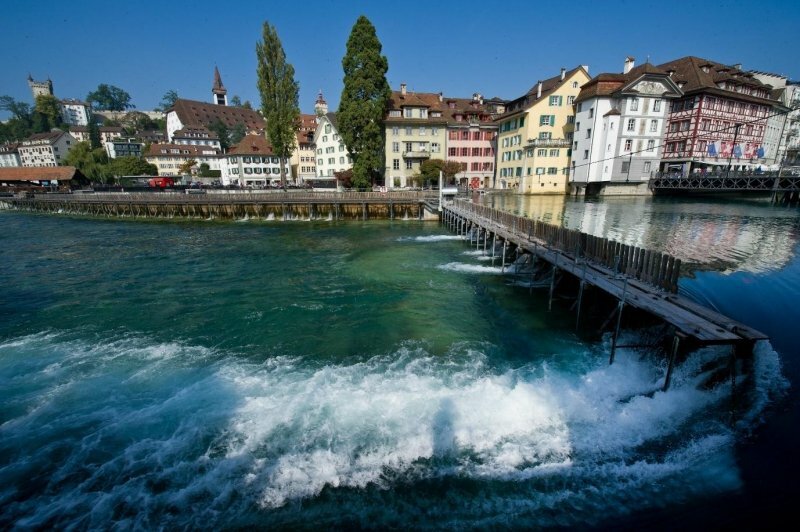 After all, what better place to start your journey in Switzerland than the beautiful, modern, medieval city where there is something to be found for everyone?